Did you know there are various special meals available to choose from on flights? These cater to special dietary requirements or for people who need food prepared a certain way for religious reasons. 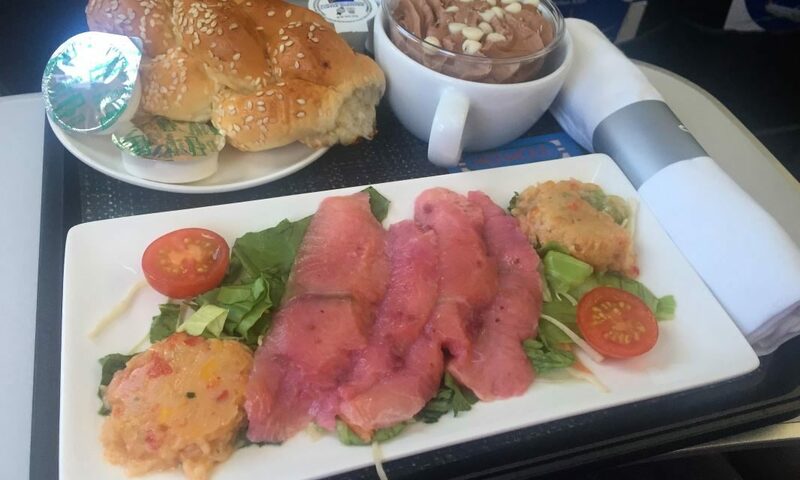 One of these is the Kosher meal which caters to Jewish passengers. I ordered it as there are only so many times you can be served the British Airways Club Europe Panini before it gets old. Two different meals are featured here – the lunch and the afternoon tea on two different short flights. 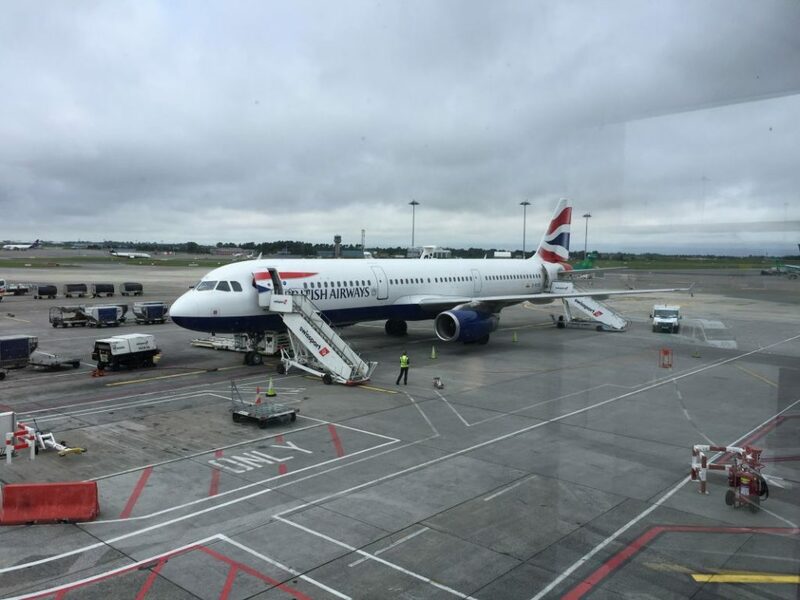 In Dublin, boarding is from the 200 gates which means you go downstairs and across the tarmac to the aircraft. It has been like this for a little while now and I am lucky it is summer. Less rain! People boarded from both the front and rear door. This meant it was soon time to button up, get a hot towel, watch the safety demonstration and take-off. Having no idea what to expect, it is interesting when the Cabin Crew hand you a completely sealed tray. Once you take off all the plastic, you remove a lid. Each dish inside is also sealed with plastic lids and the bread plate is sealed with plastic wrap. There is a reason for this and I will explain, but first let’s have a look at it. The label indicates what is inside. ENTREE – Beetroot Marinated Smoked Salmon with Halibut Balls and Salad. A Roll. Chocolate Mousse for dessert. Non dairy spread and non dairy creamer. Coffee, Tea, Sugar, Salt and Pepper. How is the Kosher lunch? Fabulous! I like beetroot and I like smoked salmon and the combination was perfect. Lovely halibut balls too! My favourite part was the chocolate mousse though. Bursting with chocolaty goodness and so filling! 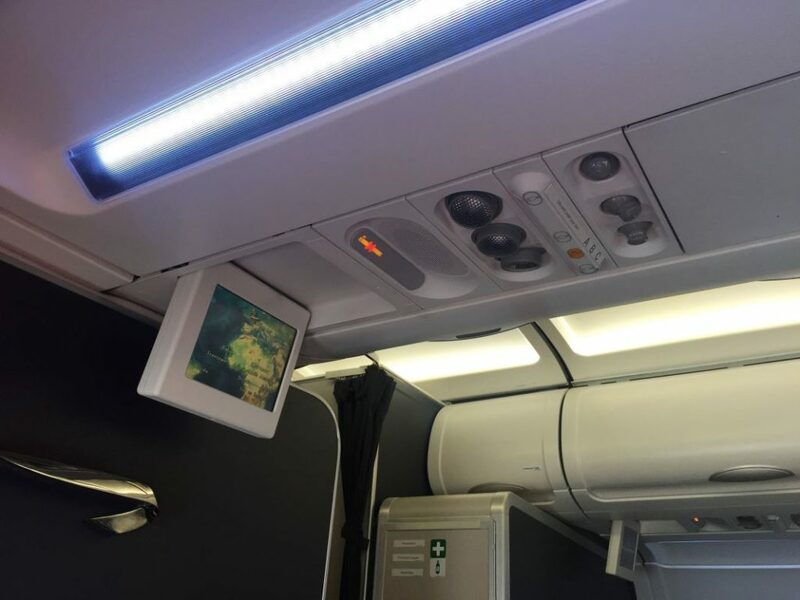 Blue mood lighting is used on board for a calming feel when boarding and in flight. Leg room in the first row is more substantial than the rest of the aircraft so I like sitting there when possible. Between the seats in Club Europe is a handsome tray table where you can rest your drinks or mobile phone. Finally there are flip down screens which show the moving map on short flights. 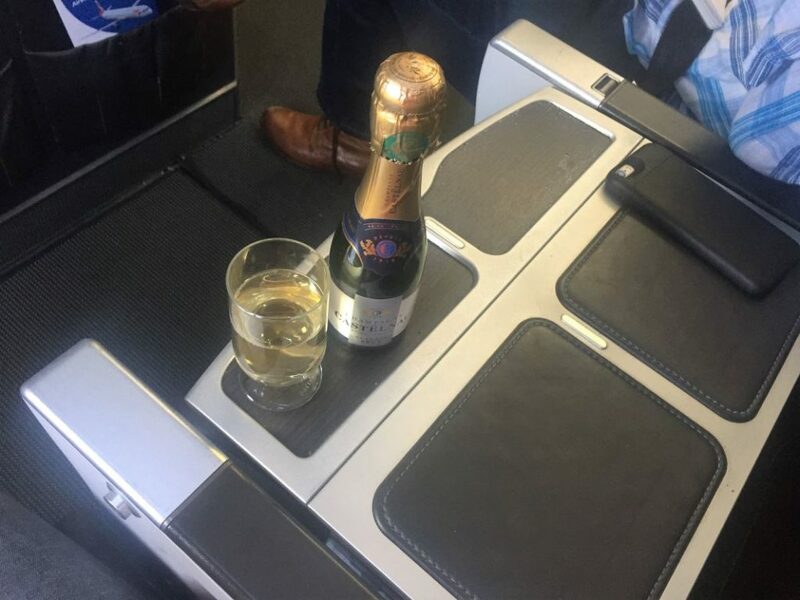 Of course, if you have some of your drink left and it’s time to land, the British Airways Cabin Crew will give you a plastic tumbler to decant your drink into. This way you can sip your drink all the way to the gate if you wish. I find it a relaxing finale which makes the descent very enjoyable. 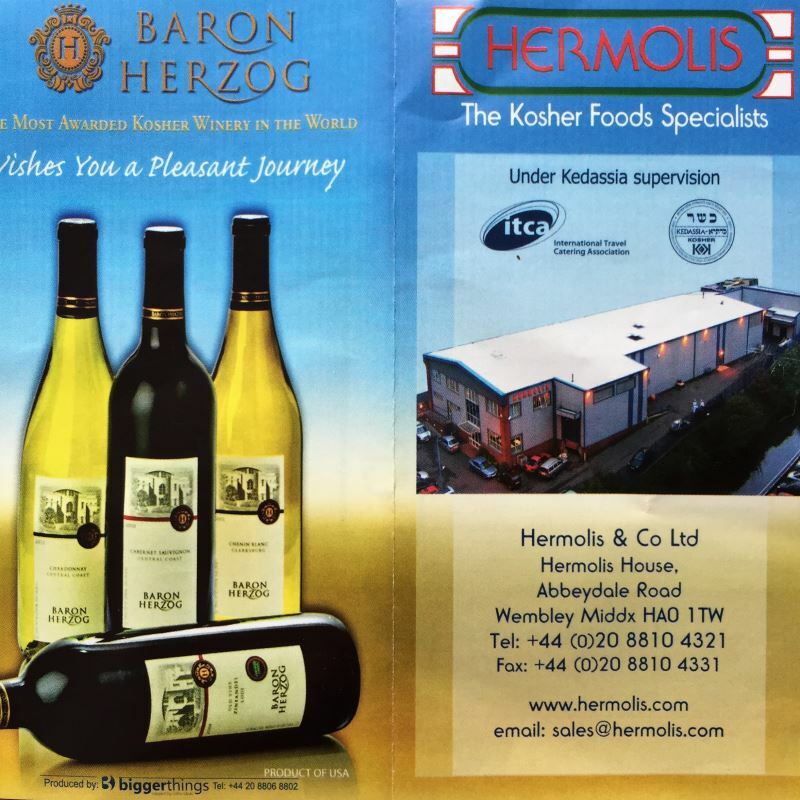 A small leaflet is included in the Kosher meal box from the food makers, Hermolis. This is addressed to the passenger and you can see this below. As I am not Jewish, some of the terminology is unfamiliar to me. Being The Flight Detective means I did some noodling around online to discover what the terms mean. Here is a run through as I understand it. “glatt kosher” means completely kosher. “kashered” – to make plates, mugs, dishes and so on kosher by cleaning them a certain way. “halacha” – Jewish law based on the Talmud. “Kashrus” – Jewish dietary laws. “herscher” – Rabbinical product certification, the company that makes elements of a meal in this case, I think. For “Mezonos, Kedin Pas Haboh Bekisnin”, I would suggest visiting this Orthodox Union page where Rabbi Jack Abramowitz explains it in a straightforward manner in just a few lines. Very interesting! And the multiple wrapping of the dishes? That is all part of it too. The normal British Airways Club Europe Afternoon tea no longer has scones with clotted cream. A crying shame. Instead the choices are between finger sandwiches and a Ploughman’s lunch. Since the scones are gone, I no longer have much allegiance to my old afternoon tea flight. I do like the Ploughman’s but I have a sweet tooth so the scones were right up my alley. Once in the air the service is exactly the same. A wrapped tray is presented and you’re asked if you would like anything to drink. Champagne for me of course! It is listed as COLD PLATE: Deli Meat. Dessert is Chocolate Brownie Slice which, as you can see, it is not. No problem of course, the substitute is very good. The sandwiches are totally fine as well with slightly thicker bread than the standard. British Airways run a charity partnership in conjunction with Comic Relief called Flying Start. People can donate foreign currency they no longer require and the proceeds go to assist under privileged children around the world. From a previous trip I had leftover American coins and a single note so I donated these on this flight. Naturally when I got home I found some Hong Kong coins so they’ll have to go on the next trip. The Kosher Meal served on British Airways Club Europe at lunch time is excellent. The portions seem to be a little more generous then the usual meal without being too obvious. It is nice to have something different to eat, especially when it’s so delicious. For Afternoon Tea I wouldn’t bother with the Kosher meal as it is virtually the same as the finger sandwiches already on offer. That being said, it is tasty and filling so there is nothing wrong with it at all. Thank you for reading and if you have any comments or questions, please leave them below. 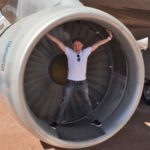 Have you heard of the Budapest Runway Run for charity? Wow! This is nice. Next time I plan travel to Europe, I might go on one when I feel like going through air travel. Usually, I have trouble with looking for kosher food when I’m on planes. This is why I prefer kosher cruises because I don’t have to worry about how the food is prepared. Aside from that, the cruise also makes a lot of stops so I can get to see many attractions in one trip. From what I understand, the company that caters the kosher meals for British Airways is considered one of the best kosher caterers for airlines, so that is why it is very good. Hopefully you will get to try it sometime. I totally understand how it would be easier on a cruise! Thank you for the comment. Great review! I’m an orthodox Jew and will only eat KSMLs when flying. 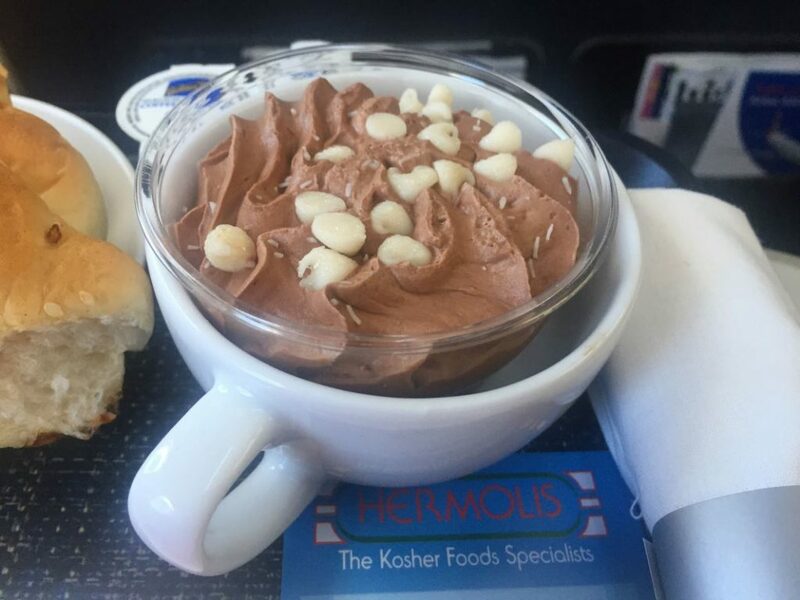 Hermolis is known as one the best if not the best Kosher Meal caterers for airlines. Try any of the others and I can almost guarantee you won’t be impressed! Love your descriptions of the Jewish terminology! Hechsher is indeed rabinical certification, however it is generally provided by a Kashrus Authority, which every kosher food establishment is usually signed up to. In this case the Kashrus Authority providing the Hechsher is Kedassia, as is visible on the wrapping. I’m really pleased to hear Hermolis is so good as I thought the meal was great. I’ve ordered a KSML for a dinner time LHR-DUB next month so hopefully I’ll get another dish entirely. Appreciate your explanation there as well – I was hoping someone Jewish would chime in and help me out a little bit. Glad you enjoyed the review and thanks for taking the time to comment – I appreciate it!